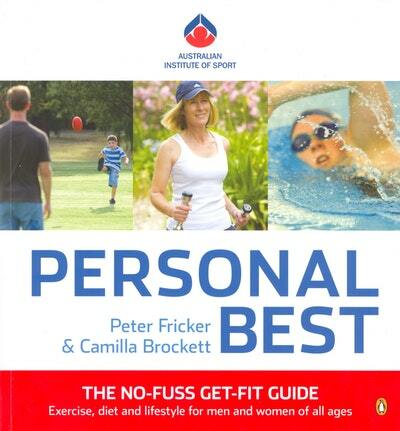 Professor Peter Fricker is Director of the Australian Institute of Sport (AIS) and has worked there since 1981, when he was engaged as the medical consultant. He has published widely in sport and exercise medicine and science, and has produced a number of textbooks and teaching materials. His research interests are in exercise and immune function, exercise and injury, exercise as therapy, and issues around genetics in sport. He has served as medical officer and medical director to Australian teams at six Commonwealth Games and five Olympics. He is a Fellow of the Australasian College of Sports Physicians, an Honorary Fellow of the Royal Australasian College of Physicians, and is an Adjunct Professor at the Australian National University, the University of Canberra, and at the University of North Carolina. He was awarded the Medal of the Order of Australia (OAM) in 1993 and the Australian Sports Medal in 2001. Be the first to find out about Peter Fricker.